Thanks for letting me know. I’ve reported this to our IS people. They hang out on freenode irc in #canonical-sysadmin for reference. The mirror has been taken out of the loop and the admins have been contacted. It appears it could be because it might host other things that are/were detected as malware, and not the Ubuntu image itself. If I override it, it seems to download the ISO correctly. Still not good to a potential downloader to see that warning. 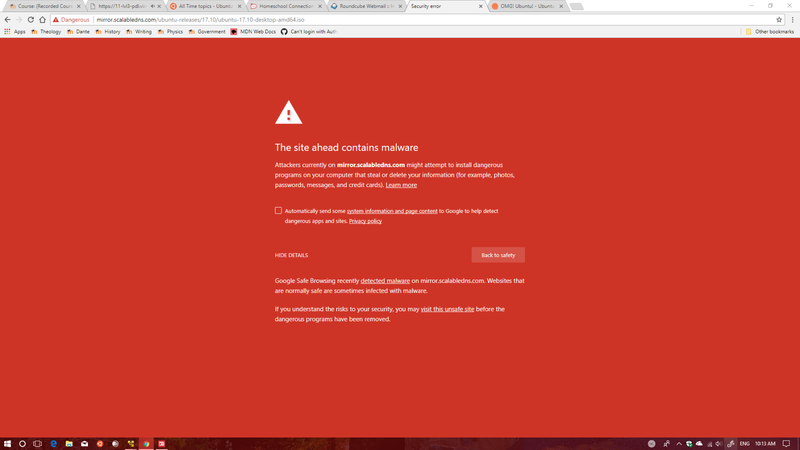 @popey, This is the x-th time in a short while that download servers have been marked as malware by chrome. Isn’t there a way for Ubuntu to be notified automatically when one of the mirrors gets flagged? Google must have this list somewhere public?